House Clearance Blyth: Good morning. 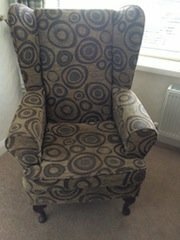 Please could you give me an idea of cost to empty a 1st floor flat in a sheltered housing complex in Blyth. My elderly parents are moving to West Yorkshire so there won’t be anyone present at the property. The removal company have been in and removed the furniture etc. they are keeping, so whatever is left needs clearing, including the carpets. There is a loft that needs emptying too. Depending on the cost I feel this would be an easier option than my husband and I going up there! Sorry I’m at work so I can’t ring now but I could ring later if you need anymore information. The house clearance was completed on behalf of the customer and the following items pictured below were cleared from houses in the Blyth area and donated to various charities. Our house clearance staff transported the non reusable items from the house clearance to a waste recycling centre. 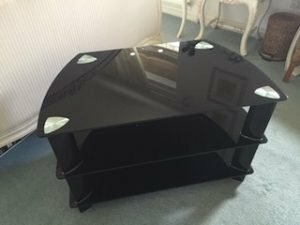 A black glass three shelf entertainment unit. 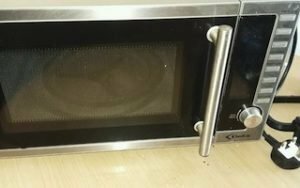 A silver and black Delta counter top 20L microwave. 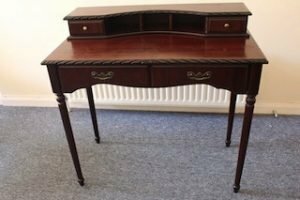 A vintage mahogany desk, having a small drawer to either side of three pigeon holes, above two large drawers, with brass detailing. 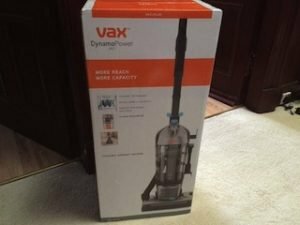 A brand new boxed silver Vac Dynamo power pet upright vacuum cleaner. 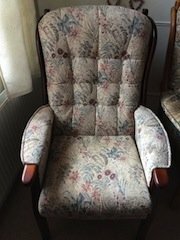 A high back reclining armchair on a mahogany frame, upholstered in floral patterned fabric. 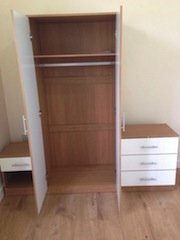 A white pine high gloss double wardrobe, together with a chest of drawers and a bedside unit. A solid pine and frosted glass chest of drawers, having four long drawers with chrome rectangular handles. 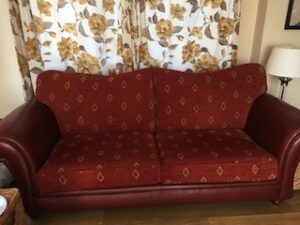 A two seater curved back sofa on mahogany legs, upholstered in red patterned fabric and faux leather. 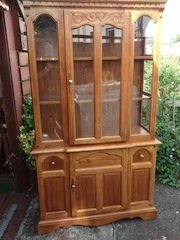 A tall standing solid pine double wardrobe, having double doors above a large drawer. 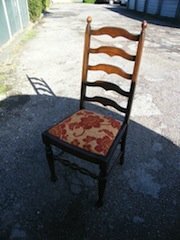 A vintage solid oak ladder back dining chair, upholstered to the seat in cream and red floral patterned fabric. 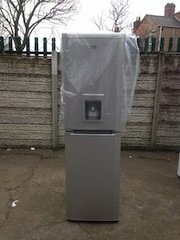 A tall standing Beko CFD5834APS frost free silver fridge freezer, with water and ice dispenser built in. 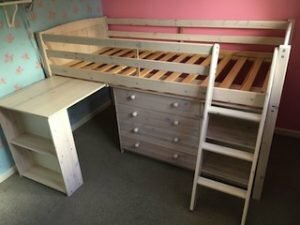 A ply wood single high rise bed, having a pull out desk, a chest of drawers, a small shelving area and a ladder. A vintage style wing back armchair on mahogany legs, upholstered in grey and cream patterned canvas. 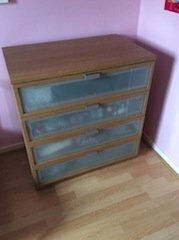 A tall standing solid wood Welsh dresser, having a glass inlaid door opening to reveal two wooden shelves, above a single cupboard and two small drawers. 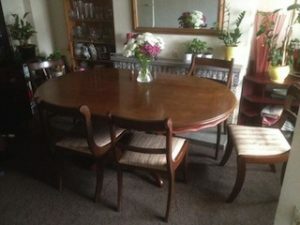 A vintage solid wood oval scalloped dining table, together with five curved back dining chairs. 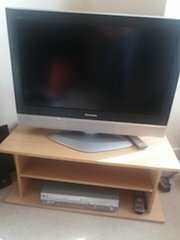 A black and silver Panasonic 28 inch flat screen television, together with a pine tv stand.